I discovered this simple, delicious dish when eating in church as the food ministry workers prepared food for those who serves in church every Sunday. When I ate this, I knew that I had to re-create it again because it was so good! So I tried it twice so far at home and the whole family loves eating it, including the children! 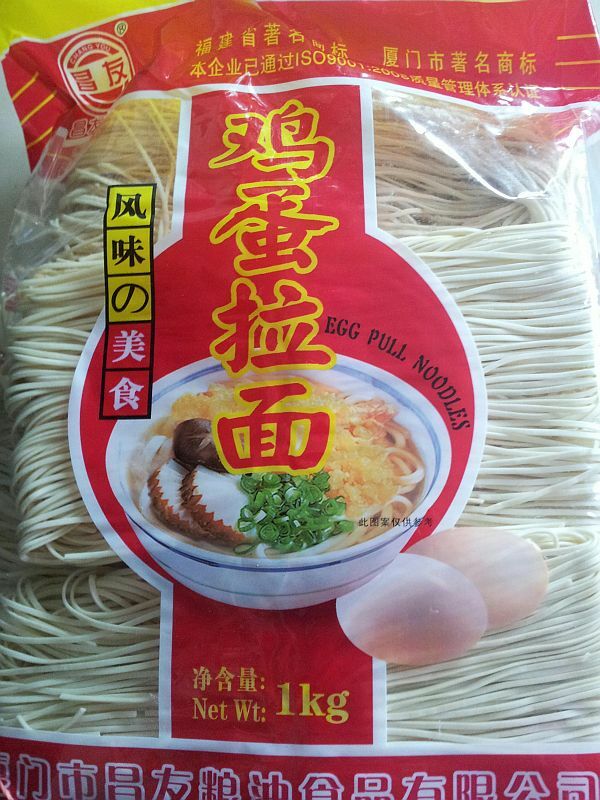 Basically, you just choose whatever you like to eat in your soup noodles. But I added all these because that's what I ate in church the first time I tried this dish. After that, you can start tweaking to your own liking. The important thing is the soup stock which is just chicken soup (I prefer to use chicken bones) and miso paste. 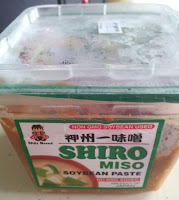 The bean flavour from the miso paste simply brings out the sweetness and taste of the soup. Love it! 1) Cook chicken bones and carrots in a pot of water over stove to make the chicken stock. Onions and cabbage are optional ingredients just to make the soup sweeter. 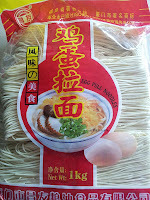 5) Cook the noodles separately in another pot with boiling water and set aside in serving bowls. 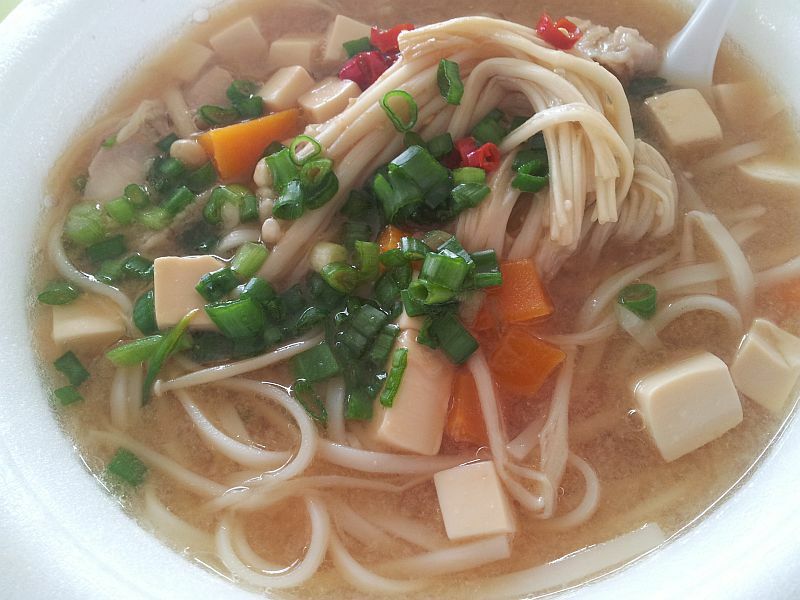 You can also throw the noodles in the soup together to cook but I prefer not to do that as it may overcook the noodles. 7) I also love to eat this with a touch of soya sauce with chilli padi for spice. My suggestion is to keep this dish as clean and simple as you can get. So don't overdo it with the ingredients as you really don't have to add much for this dish to taste good. Miso paste works wonder just by itself! The first time I made it, I overdone it with the ingredients. It's really a simple meal for a nice weekend lunch for the family or especially on a cold, rainy day! 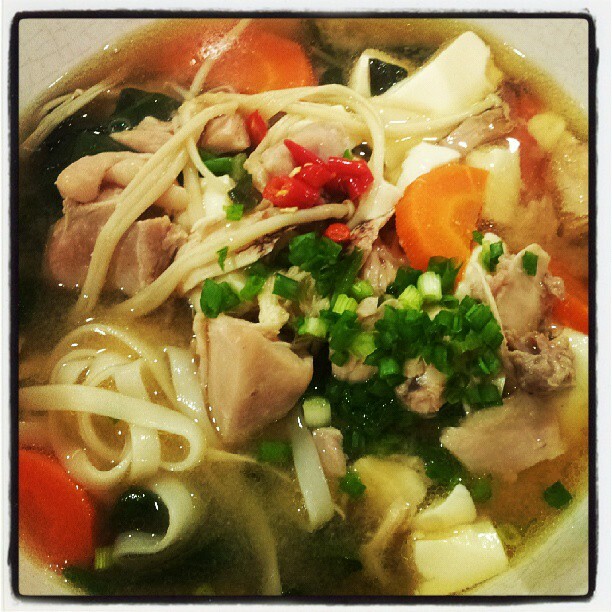 It really warms the heart and soul eating this egg noodles with chicken soup! Hope you will enjoy eating this as much as my family did!